The first time marathoner is an unique specimen. If you’ve ever lived or loved someone training for a marathon, you know what I mean. And if you have the luck to be close with someone who is about to become a first time marathoner or just recently became a first time marathoner, you know just how special that time (and that person) is. You might be thinking that you’d like to help that first time marathoner in your life celebrate their amazing accomplishment. Good on you. 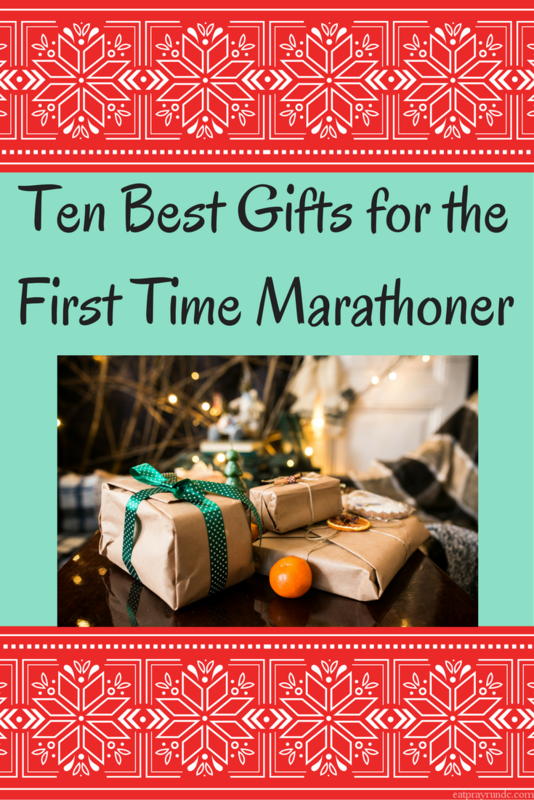 As a marathoner and someone who LOVES first timers, I have your gift guide. Here are the ten best gifts for the first time marathoner in your life. note: this post contains affiliate links. 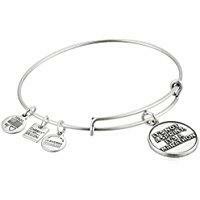 Alex and Ani “It’s not a sprint, it’s a marathon” bangle. I love Alex and Ani – I first discovered them when my aunt gifted me a bangle before our wedding and I’m now obsessed. I have this bangle and it’s an encouraging (and stylish) reminder of my accomplishments. 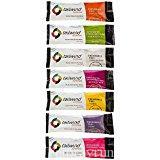 Your marathoner will love it! 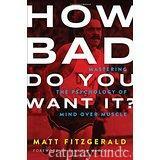 Matt Fitzgerald is awesome – he’s coached some pretty fantastic elite athletes. He took that knowledge and examined what mental toughness created success for some of the best of the best. This is a great book to give to your runner about a month before their big race. How Bad Do You Want It belongs on every runner’s bookshelf! Run Ink has two awesome products that made this list. 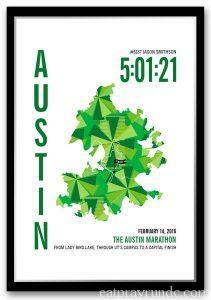 First is their marathoner maps. You can order a personalized map from most larger marathons with all your (or your marathoner friend’s) personal details. I have one for the Wineglass Marathon, Chicago Marathon and Berlin. I’m planning on framing them and then displaying them in my home. 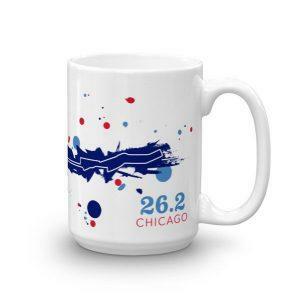 The second Run Ink item is this really neat marathon mug. I drink out of this often and enjoy remembering race day! 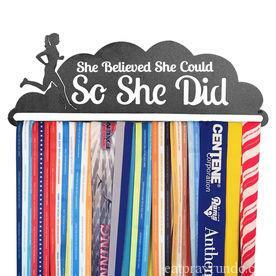 I love medal racks and I love the message at the top of this one. This is from Gone for a Run and you can find it here on Amazon. A good training journal is always appreciated. This one is authored by one of my running heroes, Lauren Fleshman, and it’s perfect – for you or your runner friend. It doesn’t just have space for writing – it is full of tips, recommendations and food for thought. A must have! 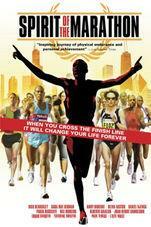 Okay – Spirit of the Marathon is the movie your marathoning friend should watch the week of their big race. If this doesn’t pump up a runner, then nothing else will. There is a sequel that came out recently but I haven’t seen that one yet. The original, however, is a must watch! Good nutrition during the marathon is key. There are lots of options out there, but I love Tailwind – it’s light, tastes great, I can drink it all day and it gives me the calories that I need while running. This starter pack is a great gift because your runner can hone in on which flavors they like the best – I’m a fan of all of them, especially the caffeinated ones! I recently snagged one of these awesome Koala Clips. It is a wonderful way to carry your phone with you while running without having to resort to an armband or waist band (which I hate). 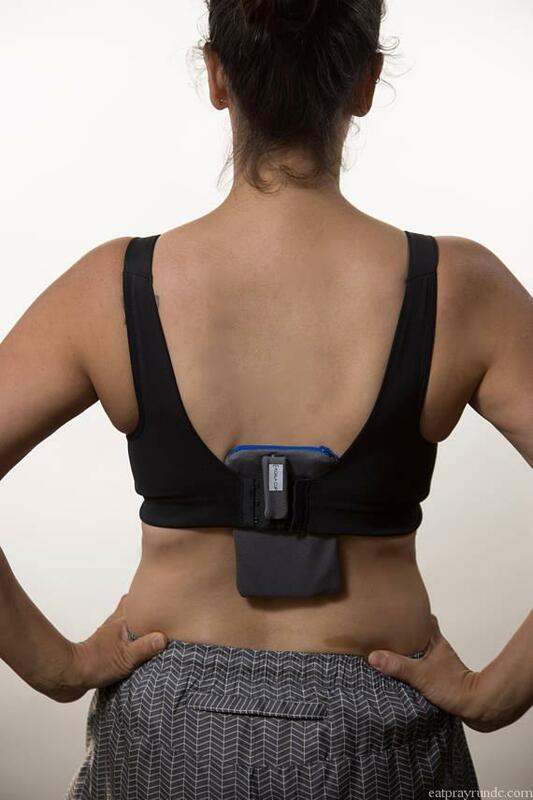 You just put your phone in the clip and then clip the Koala Clip to the back strap of your sports bra. It’s genius and I love it. Your marathoner will as well! It’s also created by a female runner – support women and small businesses, folks! Everyone deserves something soft and cozy after a big race. 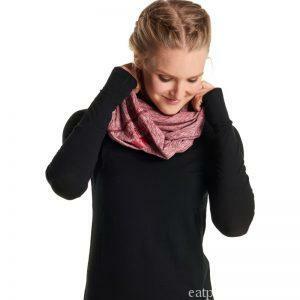 This Oiselle lux scarf is just that. You might want to buy two because you won’t want to gift this one – trust me! Marathoners – what other awesome gifts have you received? Share in the comments! Awesome ideas! I love those marathon maps. The training journal is on my Christmas list! the maps are so awesome! and yes, I’ve already ordered two training journals – one for me and one for a friend! Just ordered two training journals! One for me and one for a friend! Great ideas! Love the framed maps. Aren’t they awesome? I love them! Great list!!! I just placed an order for the print map for a friend. Thanks for the idea! Happy to help – I love Run Ink! Great ideas – I especially love the framed maps!! They are really neat and a unique gift! I will at some point get a run ink map,love them. Great roundup! I haven’t seen that Alex and Ani but now I think I need it. My mom and sister gave me the Because I am A Girl Alex and Ani before my first Chicago marathon and it’s still one of my most treasured items. My best friend gave me a warm running jacket one year and I still use it and love it. Those things aren’t cheap but they’re great gifts. I got sweat-proud headphones one year, they’re awesome too. Ooh, I got a travel yoga mat, that thing is so useful! On the other end of the gifting process, I gave a running friend a playlist of running songs before her race, she seemed pretty happy. Another running friend an I are gifting each other a semi-private yoga class together. I’m giving Shalane’s cookbook this year too. Oh, and I dearly want that Oiselle mug with “There is no secret… “ on it but they’re not available anymore! PS — I’ve made a donation to the local shelter in honour of EPR-DC. Happy Christmas, Courtney! Oh wow. Thank you so much for making that donation in my name. That’s so kind! If I see the Oiselle mug come back, I’ll give you a shout! I just received a Run Ink map with my Chicago stats on it. I absolutely love it and can’t wait to hang it in our office alongside our medal display. I really want to get some RunInk maps for my nest marathon – Chicago 2018. That is on my list for myself for sure. I just cannot decide if I go back and have the other 5 made into Maps or not. I have three maps – one I still need to print. I love them! Do it!